CPR has a multidimensional education focus that operates year round to foster audience development, artist development, and community enrichment using a diverse array of strategies. Community Conversation Series. This series of community forums began in 2009 when more than 200 patrons piled into the Billy Holiday Theatre to explore in three part harmony, the question “Could Dancehall be the Ruination of Reggae and by Extension the Jamaica Brand.” Each year, the series offers five monthly forums starting in February (Reggae Month/African Heritage Month) with the State of Reggae Reception which features a keynote address or panel discussion. Currently the forums take place in the studios of CPRLive and are streamed live to reach a much broader audience than initially conceived. Forums in the series address topics that of interest to artists as well as topics for audiences. The series formally ends in June (Black Music Month/Caribbean Heritage Month). In addition to the core forums, additional forums are presented from time to time during the remainder of the year as developments in the community dictate. The series relies on donations from the community. Workshop in Artist and Repertoire Development (WARD). The workshop in Artist and Repertoire Development is CPR’s response to the demise of the traditional record company where once upon a time, emerging artists could receive mentorship and development and preparation for success. As wards of the community, artists can now participate in workshop sessions that are conducted by concerned practitioners and professionals who are willing to share their wealth of experience. Participants also support each other’s development by sharing their own experiences and engaging in peer counseling to help each other grow. The workshop takes advantage of today’s communications technology and the internet to allow participation by artists and facilitators from various locations around the reggae world. In addition to the in-kind contributions of volunteers, the workshop relies on financial donations to keep going. CPRLive is CPR’s internet media platform that has become a key component in implementing all program initiatives. With the motto “It Ain’t Just Music, It’s Life,” CPRLive operates around the clock with a mix of live interactive programming (The Evening Suite) and a music stream of roots reggae music, old school dancehall and other related music forms along with vignettes that share insights into artists, the industry and life. Tuesdays 7PM-10PM: Social Living explores contemporary and historical modes of social organization, providing a platform for economic literacy, social responsibility and an elevated social living quotient. Thursdays 7PM-10PM: These no holds barred conversations with reggae practitioners and thought leaders address the creation, development, promotion, presentation and preservation of reggae music. Saturdays 6PM-9PM: Reggae Calling, offers an unpredictable journey of music, good vibes and you with reasoning, interviews and the Female Focus- insights into achievements of outstanding women. Archives: CPR maintains an archive of broadcasts as well as video recordings of other CPR program activities on our YOUTUBE channel, CPRLive. This includes entire programs, program excerpts, performances, and special activities including the Songbird Challenge. Announcements: Like us on FACEBOOK and receive notifications of all CPR and CPRLive activities. In addition, the page will also provide a treasure trove of good information and other announcements. The programs of CPR include special projects that emerge from time to time. Special projects have included activities such as film screenings, town hall meetings and other special events. The Legacy Project. One special project that is ongoing is The Legacy Project, an ongoing effort to preserve the history of contributions to the development and growth of the music. The Legacy Project entails gathering, archiving and curating information and materials that reflect the development of the genre. All are welcome to submit recommendations, information and materials for the project, including photography, audio recordings, video, literature, clippings and other materials and artifacts. The items will eventually be showcased in an online museum. Material and financial assistance are invited. Music is all about performance and the enjoyment it brings. CPR got started when a group of reggae lovers set out to produce a special event to mark a very special occasion, the 75th anniversary of a coronation. That was in 2005 and that journey has morphed into this organization anchored by the hallmark event Reggae Culture Salute. Reggae Culture Salute. Reggae Culture Salute marks the anniversary of the coronation of Emperor Haile Selassie I and Empress Mennen of Ethiopia. Emperor Haile Selassie I is central to the Rastafari Movement which informs the roots reggae and the multimedia Reggae Culture Salute underscores the unique relationship between reggae Rasta Emperor Selassie and Jamaica. The family friendly event typically showcases veteran roots reggae artists and emerging artists as well as nyabinghi drumming, dancing, a video tribute, award presentations and delectable Caribbean cuisine. International Women of Reggae. This performance presentation is devoted to honoring the contribution of women to reggae and showcases women from around the world. The artists hail primarily from the Caribbean, North America and Europe but may be from wherever reggae can be found. As with Reggae Culture Salute (RCS), veterans as well as newcomers are reflected in the mix and whereas anywhere in and elsewhere RCS is partial to roots reggae, International Women of Reggae is more diverse in the flavors of reggae that are presented. Music is all about performance and the enjoyment it brings. CPR began by staging an event that continues to be the hallmark activity of the organization, joined by a second seminal presentation. Reggae Culture Salute. Reggae Culture Salute marks the anniversary of the coronation of Emperor Haile Selassie I and Empress Mennen of Ethiopia with a multimedia event that celebrates the unique relationship between reggae Rasta Emperor Selassie and Jamaica. International Women of Reggae honors the contribution of women to reggae with a presentation that assembles women from the Caribbean, North America, Europe and elsewhere to offer a unique reggae experience. CPR maintains a multidimensional education focus that operates year round to foster audience development, artist development, and community enrichment using a diverse array of strategies. Community Conversations Series. This series of community forums was started in 2009 when more than 200 patrons piled into the Billy holiday theatre to explore in three part harmony, the question “Could Dancehall be the Ruination of Reggae and by extension the Jamaica Brand.” Each year, the series provides five monthly forums starting in February (Reggae Month) with the State of Reggae Reception and concluding in June (Black Music Month). Currently the gatherings take place in the studios of CPRLive and are streamed live to reach a much broader audience than initially conceived. In addition to the core forums, additional forums are presented from time to time during the course of the year as developments in the community dictate. Workshop in Artist and Repertoire Development. The workshop in Artist and Repertoire Development is an ongoing workshop that offers artists the opportunities for professional development in various aspects of the industry. The workshop helps discerning artists to cultivate their craft in a nurturing environment where they support each other, sharing experiences and challenges as seasoned practitioners and professionals share their expertise and experiences. 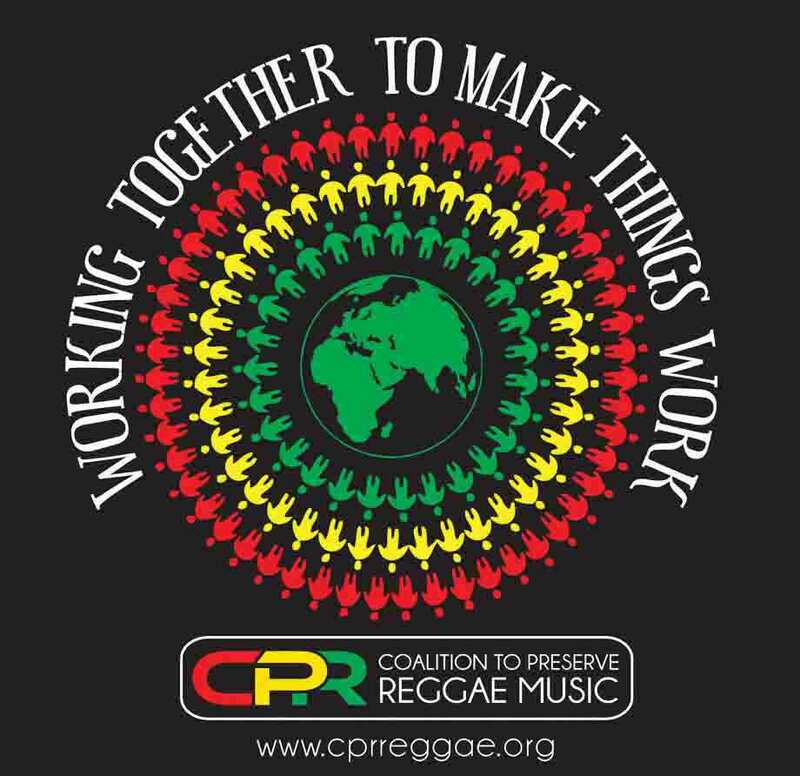 Central to all CPR program initiatives is CPRLive, the internet media platform that serves as the glue that binds the various facets of the organization together with a mix of interactive programming and a live music stream of roots reggae music, old school dancehall and other related forms alongside vignettes that offer insights into artists, the industry and the environment that is reggae music. In addition, content derived from CPRLive’s programming and other CPR presentations form the basis of the CPRLive YouTube channel where missed programs and performances can be found. The motto of CPRLive states that “It ain’t just Music, it’s life and the practice of CPR reflects the same. The two performance events of the organization is balanced by two networking events addressing matters that impact the industry and the community. The State of Reggae Reception, held in February each year marks African Hedritae Month. Reggae Month and the launch of the Community Conversation Series, a series of five monthly forums addressing various issues affecting the future of the music and its preservation. Kwanzaa, the African American celebration of community and the achievements of the year brings us together at the close of the year. Besides the ingathering, the harvest is celebrating by gathering school supplies which are donated to basic schools children in Jamaica, the birthplace of reggae music. The Legacy Project. The programs of CPR include special projects that emerge from time to time. Special projects have included activities such as film screenings, town hall meetings and other special events. Special projects also include an ongoing effort to preserve the history of contributions to the development and growth of the music labeled The Legacy Project. This effort entails the archiving and curating of information and materials that will, among other things, be showcased in an online museum. a. The State of Reggae Reception, held in February each year marks African Hedritae Month. Reggae Month and the launch of the Community Conversation Series, a series of five monthly forums addressing various issues affecting the future of the music and its preservation. b. Kwanzaa, the African American celebration of community and the achievements of the year brings us together at the close of the year. Besides the ingathering, the harvest is celebrating by gathering school supplies which are donated to basic schools children in Jamaica, the birthplace of reggae music. October 5, 2016, Brooklyn, N.Y. The Coalition to Preserve Reggae Music's annual staging of Reggae Culture Salute scheduled for Saturday, November 5, will not take place as previously announced. With artists plagued by challenges in securing Visas and Work Permits, multiple artists scheduled to appear are no longer available and in keeping with the spirit of the annual benefit, CPR will instead host a "Throw Back, Throw-Down" birthday party in honor of co-founder, Sharon Gordon on Saturday, November 5th, celebrating the music of yesteryear. The party will serve a fundraiser for CPR and all are invited to put on their dancing shoes and head to FOR MY SWEETS, located at 1103 Fulton Street, corner of Claver Place in Fort Green, Brooklyn. The CPR All Stars and friends will provide live entertainment and deejays Hard Hittin' Harry, Chris The Dubmaster and Rob Kenner will spin the classics from the 70's, 80's and 90's for your dancing pleasure. There will be lots of prizes and surprises and the deejays promise to not chop up or talk over your favorite songs as you dance the night away. The celebration begins at 8pm with dinner served at 9pm, a cash bar, and dancing until 2am. The minimum donation of $50, which includes dinner, is tax deductible. In 2015, Billboard Magazine determined that Joss Stone’s album, Water for Your Soul was the reggae album of the year and declared Joss Stone the reggae artist of the year. Over the past ten years, artists from various genres (reggae, soca, dancehall, hip hop, pop and more) from around the world have charted in the annual Billboard reggae top 10 charts but in 2015 when Joss Stone was named reggae artists of the year, debates ensued the questions rose in a crescendo. Join us for an evening of reasoning at the 8th annual State of Reggae Reception as we seek to address questions for our souls with the central question being, “what is reggae?”. The highlight of the evening will be a panel discussion and a Q&A.